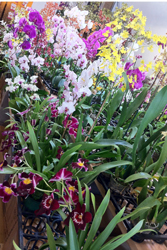 My mom needed to buy flowers for a luau she’s helping put together in a few days, and she had an order all ready to go online to have orchids, ti leaves, and other things shipped from Hawaii. Then she asked me if I thought $60 was too much to spend on these, especially since they really were just decoration (I said YES – a luau is all about the food and fun!). 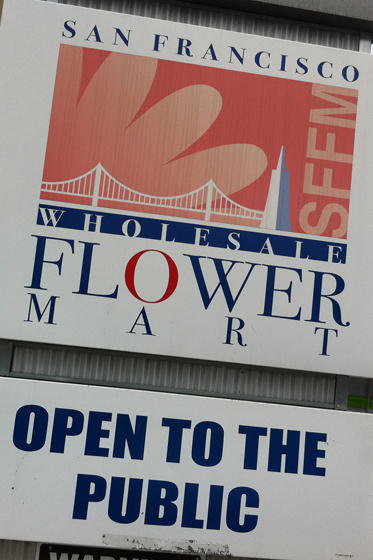 Mom decided we should try going to the SF Flower Mart instead. Neither of us had been there before, but it’s right off a freeway exit into the city, so we’ve seen it hundreds of times. Mom looked up the information; it’s open to resellers at 7am, and then to the public at 10am. They have a parking lot, but they charge 75 cents for each FIFTEEN MINUTES! We wondered how long we’d take, but didn’t want to be rushed, so we headed over there this morning and scored street parking just down the block. YES! There’s a cafe on the street side of the Flower Mart, but other than that from the outside it just looks like two parallel buildings with a small parking lot in the middle. There are some plants and flowers outside, but as you start exploring, you realize that there is an insane amount of stuff here. 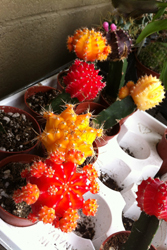 There are of course the customary tulips, roses, and sunflowers, but there are also beautiful decorative branches, colorful succulents, and some of the most gorgeous and varied orchids I’ve ever seen. 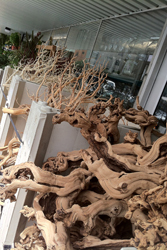 As we walked among the stalls and into the different little stores, my eyes just got bigger and bigger. 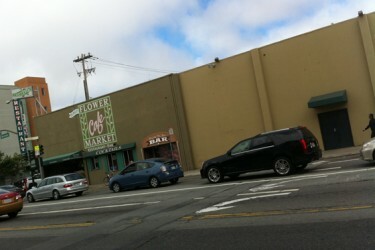 This place was called “The best flower market in the country” by Martha Stewart Living, and that is not a joke. 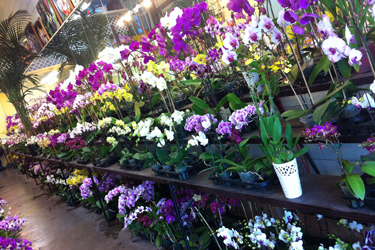 I could not believe all the ridiculously beautiful and even exotic flowers available here. And they were all CHEAP. 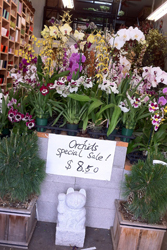 There were some outrageously great deals on orchids, especially. 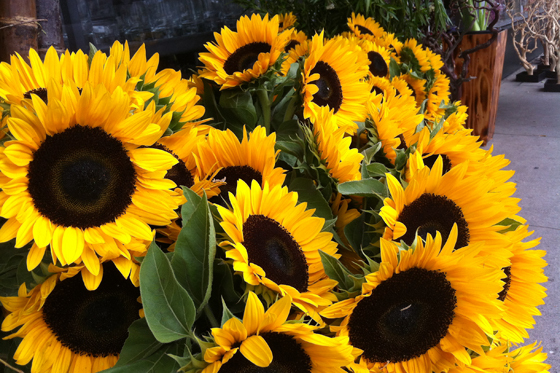 If you need or just like flowers, you need to come here. They have such a wide variety and the prices are insane. I cannot believe I didn’t come here for the flowers for our wedding. I thought about it, but didn’t want to bother. 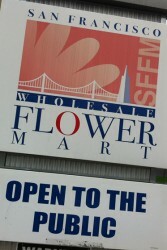 Had I known what a remarkable place this is, getting the flowers would have been more fun than dress shopping.